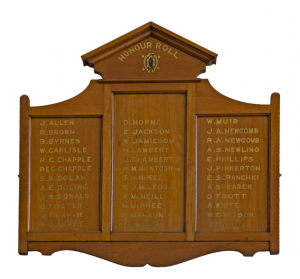 The Ultimo Presbyterian Church Roll of Honour, now housed in the foyer of the Ultimo Community Centre, bears the names of 36 men who enlisted in the Australian Imperial Force (AIF) in World War I. Only 26 are readily identifiable but service records reveal that 22 of them came home. The stories of their war service, heroism, larrikinism and injuries are poignant and hint at the hardships they would face when they returned to their communities. These men came from a variety of occupations. There were clerks, labourers and ironmoulders as well as a bank messenger, farmer, carpenter, joiner, boilermaker, cook and a baker. 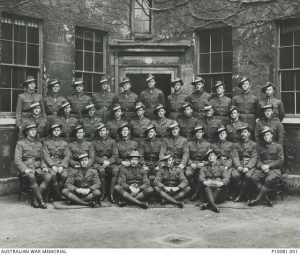 They served in a number of units such as the Field Ambulance, Artillery Column, Army Service Corps and Anzac Cyclist Battalion. One name on the Ultimo honour roll stands out above all; ‘E Scranchki’ is inscribed on the third panel, an unusual and probably completely misspelt name. His identity remains a mystery. He may have been a seaman named Militan Schatkowski.7Correspondence with Trudy Holdsworth, 25 September 2015 Schatkowski was born in Lithuania and worked on ships sailing to and from various Australian ports in the lead up to his enlistment in the AIF in October 1914.8National Archives of Australia: B2455, Oldham Militan; State Records Authority of New South Wales, Registers of seamen engaged before the Shipping Master, 1859–1923, NRS 13282, reels 3669–3680 Service records often obscure ethnic and cultural diversity as the tension of war compelled many to adopt aliases to conceal their ‘foreign-sounding’ names.9Bruce Scates, ‘Annual History Lecture 2015 – Anzac Amnesia: How the Centenary Forgot the War,’ 8 September 2015, History Council of New South Wales, http://www.historycouncilnsw.org.au/history/post/annual-history-lecture-2015-anzac-amnesia-how-the-centenary-forgot-the-war/, viewed 30 September 2015 Before the end of the war Schatkowski adopted the surname of his new wife and throughout his service record his original surname is crossed out and replaced with ‘Oldham’. 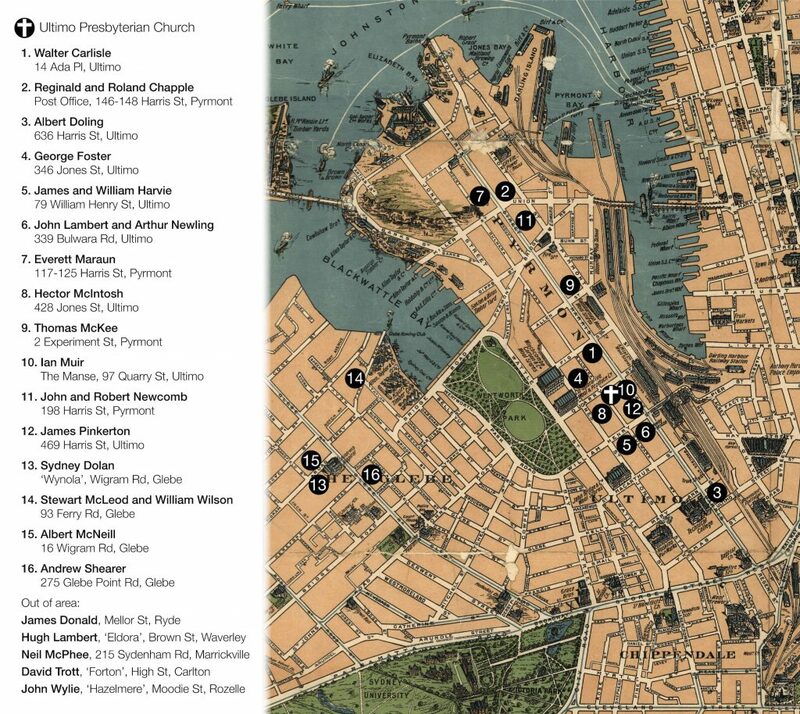 Interestingly, he listed his religion as Presbyterian in his service record, however, Schatkowski lived in Newcastle and apart from being in port in Sydney in 1914, had no clear links to Ultimo and the church. 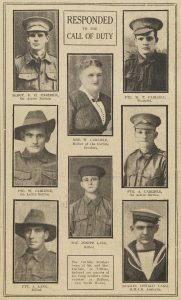 Whatever their connections to the church and suburb of Ultimo, the names on the honour roll reveal the diversity of the community and complexity of war service. When investigated further, the Ultimo Presbyterian Church honour board exposes how the war drastically transformed communities. Carlisle joined the 60th Battalion in February 1918 and was wounded in action five months later, suffering a severe shrapnel wound to his left arm.14National Archives of Australia: B2455, Carlisle WT After convalescing in an English hospital in Dartford he embarked for Australia in December 1918 and was discharged in June 1919.15National Archives of Australia: B2455, Carlisle WT Inexplicably, Walter is the only one of the four Carlisle boys to be listed on the honour roll. 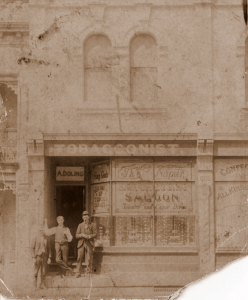 One of 12 children, Albert Edward Doling lived above his father’s hairdressing and tobacconist saloon at 636 Harris Street, Ultimo when he enlisted.16NSW Births Deaths and Marriages, Registration no. 9065/1897 Doling served in the 17th Battalion in France and in April 1916 was reprimanded for disciplinary reasons and received 169 hours heavy labouring duties. Three months later, for behaving ‘in an insolent manner’ to a non-commissioned officer, he received 14 days’ ‘field punishment number one’, which meant heavy labouring duties and being placed in fetters or handcuffs and attached to a fixed object for up to two hours a day.17National Archives of Australia: B2455, Doling AE. See also ‘Field punishment,’ Australian War Memorial https://www.awm.gov.au/encyclopedia/field_punishment/, viewed 20 September 2015 According to family legend, Doling was punished because he objected to the ‘inhumane treatment’ of soldiers suffering from shell shock18Correspondence with Elaine Doling, 11 August 2015. 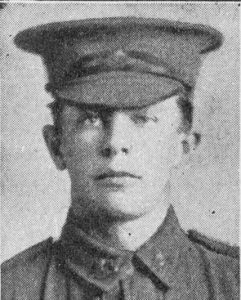 See also ‘Doling, Albert Edward,’ Anzacs online, 23 November 2011, http://anzacsonline.net.au/2011/11/doling-albert-edward-mm/, viewed 20 September 2015. On 9 November 1916, Doling was reported wounded in action. The following month he was punished while in Étaples, this time for ‘hesitating to obey an order’ and again given 14 days of field punishment number one.19National Archives of Australia: B2455, Doling AE In June 1917 he was found absent without leave (AWL) and awarded 14 days of field punishment number two (labouring duties), forfeiting 16 days’ pay. It is perhaps unsurprising that Ian Muir, son of the Reverend Muir, outspoken and staunch supporter of the war, enlisted in the AIF bearing a letter of consent from his father.29National Archives of Australia: B2455, Muir Ian Miller and Victoria, Australia, Assisted and Unassisted Passenger Lists, 1839–1923, Microfiche VPRS 7666, copy of VRPS 947, Public Record Office Victoria Just shy of 18 years old, Ian Muir was technically underage. Despite this, he went on to have a distinguished war service which no doubt did his father proud.